Courgettes are high in vitamin K and vitamin C.
Courgettes, better known in the United States as zucchini, contain vitamin K, vitamin C, potassium and dietary fiber. This vegetable belongs to the same summer squash family as patty pan squash and yellow crookneck squash. Like its close cousins, the bulk of a courgette's nutrients are in its thin peel. To maximize the benefits you get from a courgette, always prepare it with the peel intact. A diet high in vitamin K helps ensure proper blood coagulation and healthy bones. If you are deficient in vitamin K, you may be more likely to develop osteoporosis or to bleed excessively when cut or injured. A single cup of cooked, sliced courgette contains 7.6 micrograms of vitamin K. This amount supplies 8.4 percent of the U.S. Department of Agriculture's recommended daily allowance of vitamin K for adult women, and 6.3 percent of the amount of vitamin K required by men. 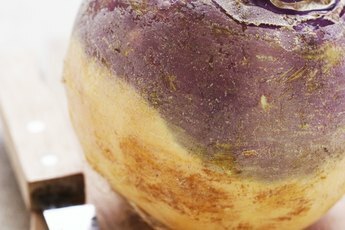 Vitamin K is fat-soluble and is absorbed best when consumed with a source of dietary fat. Drizzle grilled courgette with olive oil or serve steamed courgette slices as a side dish for meat or poultry. 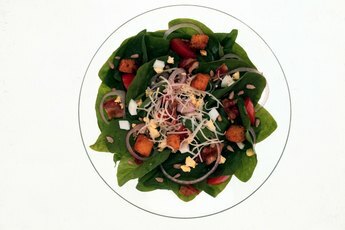 A cup of sliced courgette fulfills 35 percent of an adult's RDA of vitamin C. Eating plenty of vitamin C-rich foods like courgettes may significantly decrease your risk of cancer, gallbladder disease, stroke, heart disease, osteoarthritis, high blood pressure and age-related macular degeneration. Vitamin C is also needed for the production and maintenance of collagen, teeth and bones. The vitamin C content in fresh produce degrades after exposure to heat, air, light or water. 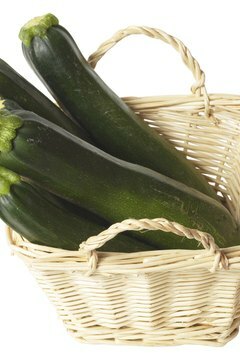 Try to use courgettes within three to four days of purchase and don't cut them until just before you plan to eat them. Steam, roast, grill or broil courgettes instead of boiling them to minimize water contact. Both a mineral and an electrolyte, potassium triggers the activity of enzymes in the body's energy metabolism pathway and, along with sodium, helps maintain the membrane potential that allows for muscle contraction and electrical impulse transmission. Courgettes contain 10 percent of the amount of potassium adults require daily in every cup of cooked slices. Including potassium-rich foods like courgettes regularly in your meals may help prevent kidney stones, hypertension, stroke and osteoporosis. If your diet is too high in sodium, the potassium levels in your body may drop. Talk to your doctor about ways to decrease your sodium intake and increase your potassium. 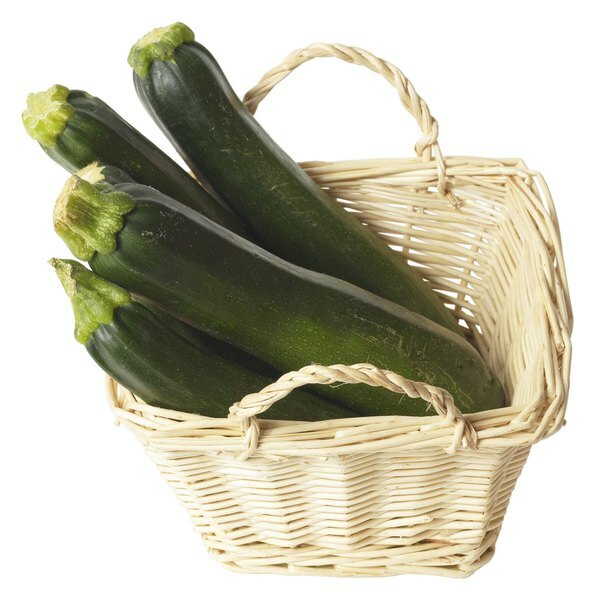 Every cup of cooked courgette supplies 2 grams of dietary fiber, or about 4 percent of the RDA of fiber. The two types of fiber are soluble and insoluble fiber. A high intake of soluble fiber may lessen the risk of high blood cholesterol and diabetes, while consuming insoluble fiber regulates bowel movements and promotes digestive tract health. Vegetables like courgettes are a good source of both forms of fiber. A 2009 "Nutrition Reviews" article adds that eating plenty of dietary fiber can also decrease the risk of stroke, hypertension, cancer, obesity and ulcers. 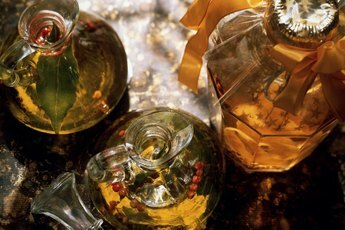 What Are the Health Benefits of Apple Cider Vineger?